Offset bent thumb handle for comfortable grip. A great starter shear to kick off your hairdressing career! Great starter shear to kick off your hairdressing career! Made from high quality 440C steel for long lasting performance. Offset bent thumb handle for comfortable grip. 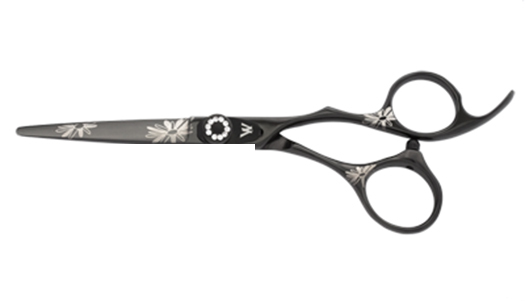 Beautiful black titanium finish with an elegant flower design.